Fat free and low in calories (40 calories per ½ cup) they pack a potent punch and rank number one out of all fruits for antioxidants that neutralize free radicals. But the benefits don’t stop there. 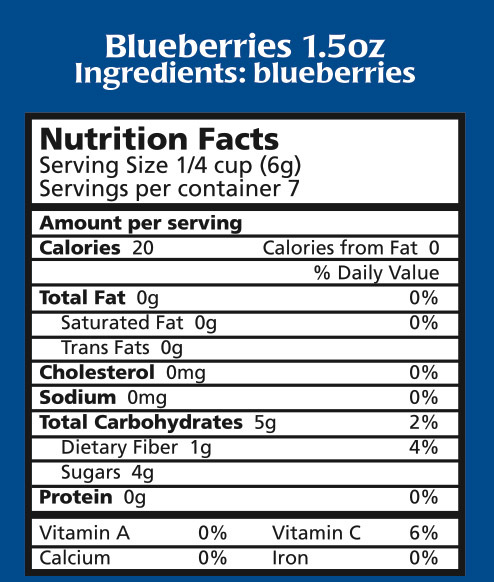 Blueberries also contain natural phytonutrients. One of those phytonutrients called proanthocyanidins works at protecting both the fatty and watery parts of the brain against damaging environmental toxins. It also decreases free radicals levels linked to disease and wrinkling and aging of the skin. They are packed with vitamin niacin, folate, riboflavin with healthy doses of vitamins A, C, E and B complex, selenium, zinc, iron, magnesium, manganese, potassium and copper. 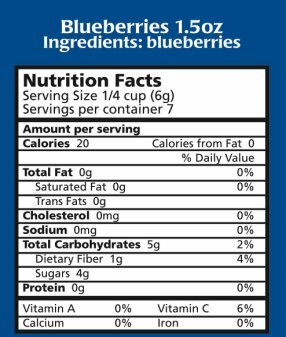 Just one cup of blueberries delivers 14 percent of the recommended daily dose of fiber to assist with your digestive system. Research has proven that this tangy berry also provides important cardiovascular benefits. 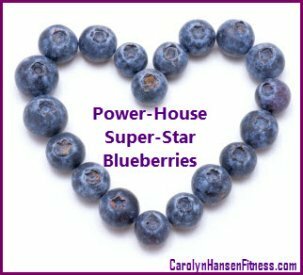 The combination of three healthy servings of blueberries combined with three healthy servings of strawberries per week provides important heart benefits. Other studies have shown that those who enjoyed two or more servings of blueberries weekly reduced their risk of developing diabetes by as much as 23 percent due to the antioxidant anthrocyanins (which also gives blueberries their blue color) they contain. Native Americans referred to the blueberry as “star berries” because blueberry blossoms make a star shape. Grown in wooded and mountain environments these little blue gems grow in clusters in sizes from small peas to marbles. They are fun to eat by themselves or added to yogurt, cereal, juices, and smoothies. They can also be cooked into baked goods such as pies, cookies or breads. Like other fruits and vegetables organic blueberries are your best choice to avoid high levels of pesticide residue that could otherwise damage your liver or negatively affect other body functions. Organic blueberries have also been proven to provide significantly higher concentrations of phenol antioxidants and anthocyanin antioxidants than those grown conventionally. When purchasing blueberries look for firm berries that offer a uniform hue in color with a slight whitish bloom. They should be free of moisture and move freely in their container. They should be stored in the refrigerator but don’t wash them first…wash them right before eating because washing them removes the bloom that protects the berries skin from degrading. If you are enjoying organic blueberries and know their source, you don’t need to wash them at all. In summary this plump little super berry ranks second only to strawberries in popularity, provides big benefits…improves dry wrinkly skin, boosts brain power/memory, protects your heart and might even work at preventing cancer. If you struggle to take off stubborn weight, my program “Stop Weight Loss Resistance” can help you move past the hurdle of weight-loss resistance. You can take off those stubborn pounds…you just need the right information.